On the same day he's set to be inducted into the Rock & Roll Hall of Fame, a Maryland auction house is putting some of the personal belongings of rapper Tupac Shakur on the auction block. Tupac’s gold medallion, Quran and other personal items will be featured in the "Black Heritage Auction." 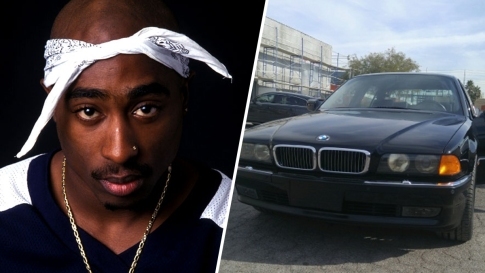 The rapper was gunned down on a Las Vegas street in a drive-by attack in Sept. 1996. He died six days later in the hospital at the age of 25. Although his career only lasted 5 years, Tupac's legacy transcended the rap world. Snoop Dogg will induct Tupac into the Rock & Roll Hall of Fame on April 7. Alexander Historical Auctions is holding the auction in New York on Friday, but you don't have to be on the East Coast to place a bid. Bids can also be placed online. Items belonging to Martin Luther King, Jr., Malcolm X, Muhammad Ali and many others are also being offered in an effort to "promote black history," a spokesman for the auction house said.